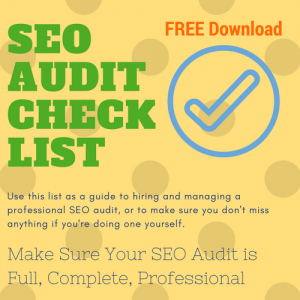 Have You Downloaded Our Free SEO Audit Checklist Yet? If you have, maybe you’d like a bit of a guided tour. 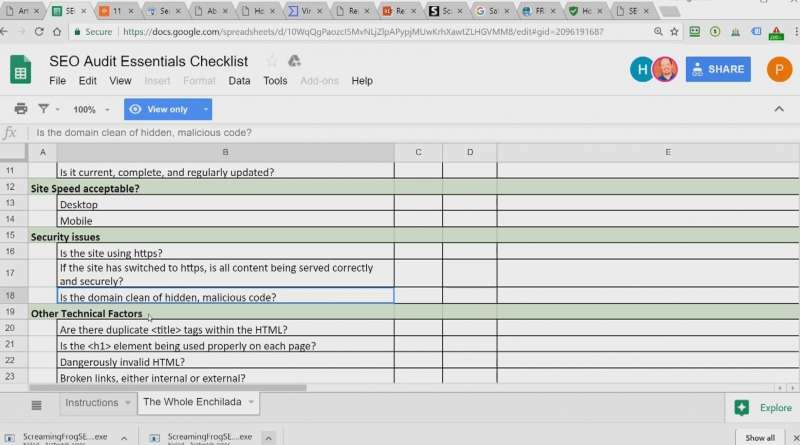 In this brief video I’ll give you an overview and a few insights as to how you might want to use this resource in your own web development and digital marketing. When you watch the video, feel free to post questions in the comments for either this blog post or the video itself. 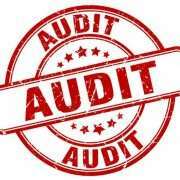 We want to make sure you can get the most out the SEO Audit checklist. Why should you care about SEO? 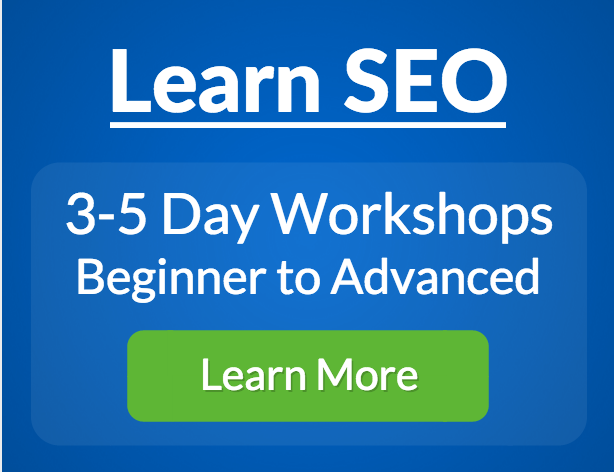 SEO is Search Engine Optimization to rank higher in search results. Here is a great reference to learn about the value of first page Google results. In Part I of this series I laid out the concept of Search Engine Friendliness and gave you a couple of simple questions whose answers will help you get started with this topic. Today I’ll explore 2 more questions for you or your developer to dig a little deeper. 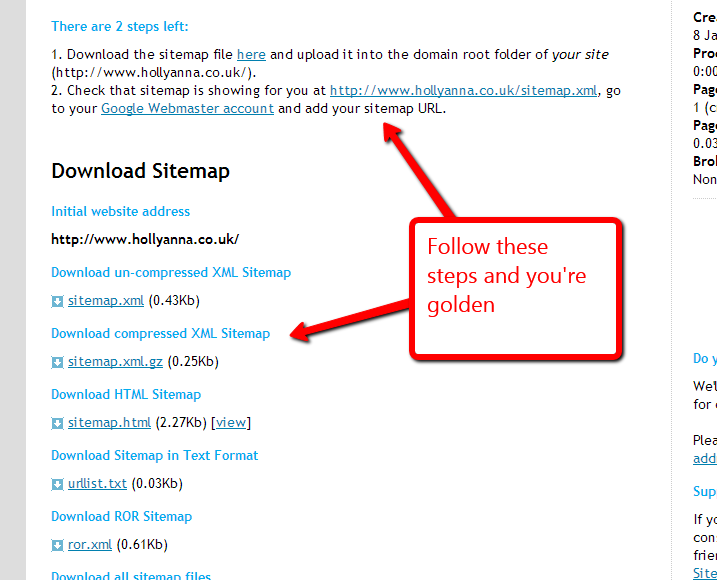 Question 3 – Do You Have a Sitemap? Go ahead and navigate to that link and you’ll be able to see that it’s not very useful to humans. Search engines, on the other hand, know exactly what to do with it. 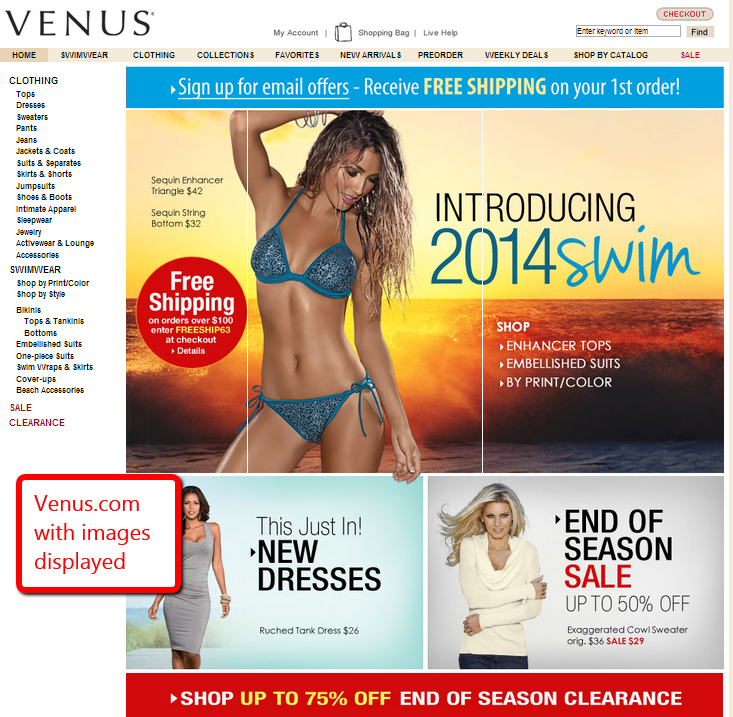 What if you don’t have a sitemap in that location? The most likely reason is that your developer did not set up either a sitemap or a program that automatically generates a sitemap. 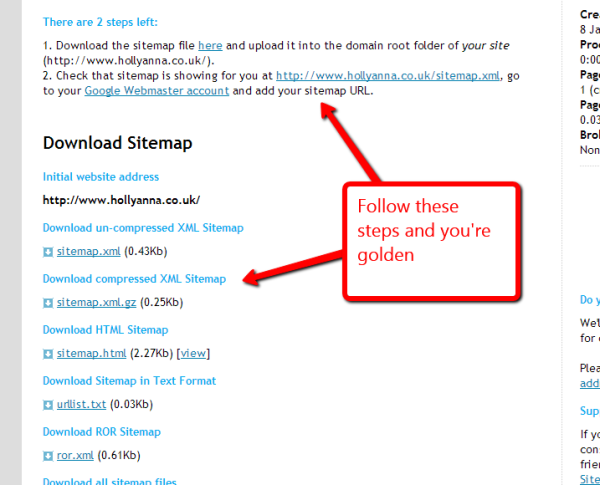 You can generate your own sitemap by going to the resource we used last week to test whether spiders can crawl your website, http://www.xml-sitemaps.com/. Go back to that site and let them guide you through the process (see screen capture below). 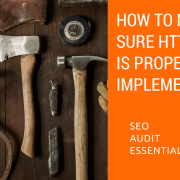 One word of caution however: if you use this method you’ll have to remember to re-generate the sitemap anytime you make a significant change to your site. Or, if you have a Content Management System (such as WordPress, Joomla, Drupal) you should be able install a plugin or add-on that will generate a sitemap automatically anytime you make changes to the pages of your site. This latter option is definitely preferred, since you don’t have to remember to update your sitemap manually. 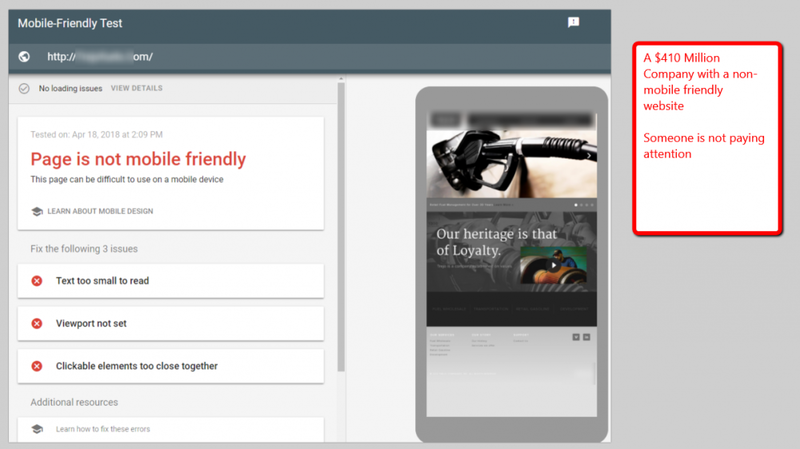 Question 4 – Are Your URLs Search Engine Friendly? Even though Google uses URLs like this, their robots, which constantly crawl the web, aren’t crazy about such a convoluted URL, and they would likely shy away from crawling pages with addresses like this. 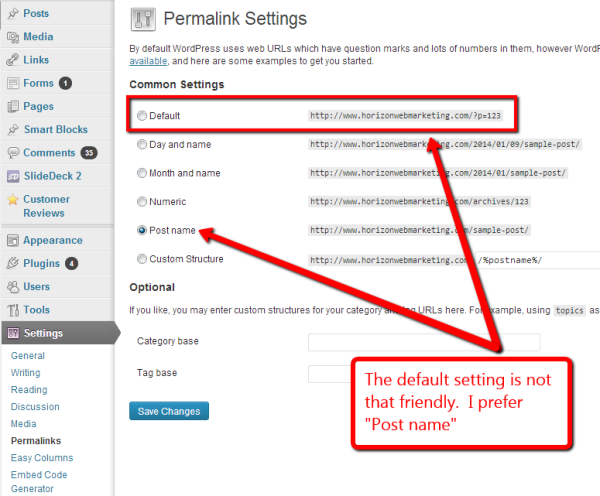 More commonly, many people who set up WordPress blogs will let WordPress use a default configuration that is a simpler version of the same principle. 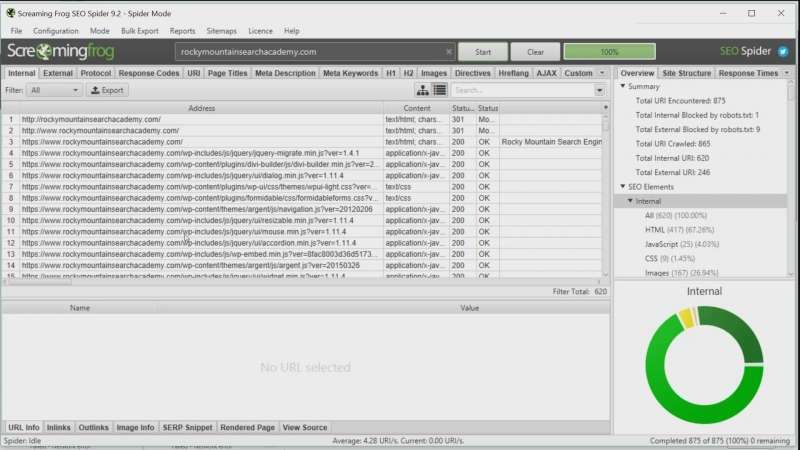 The following is a screen capture of a WordPress site displaying two different URLs. 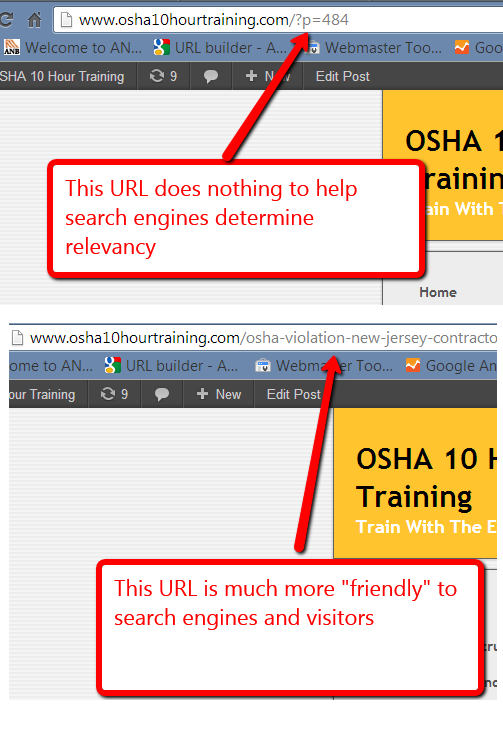 The top one is the default WordPress URL, and the bottom one is a “search engine friendly” URL. & # ! % ; ? 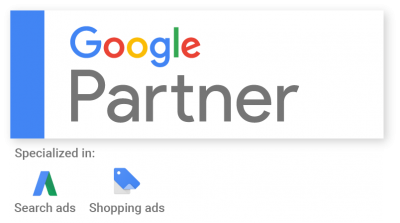 In our next and final installment dealing with Search Engine friendliness I’ll be discussing two very common mistakes that many businesses make that render their sites far less welcoming to Google and Bing than they could be.